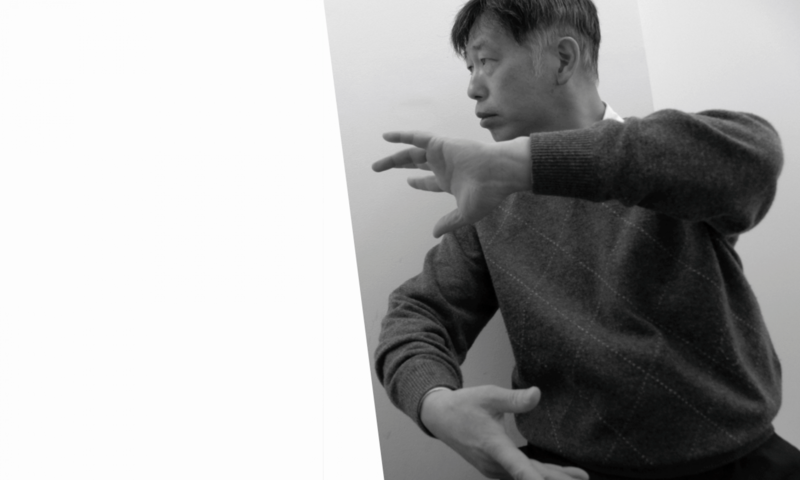 Cloud hands (雲手) is an essential movement in Taijiquan (太極拳). It is a motion to learn Spiral force (纏絲勁) in the upper body, and it becomes the hand skill basis to deal with the opponent attack. The motion itself is simple as rotating the hands in front of the body, but inside is not so simple. Stand with the horse stance (馬歩). Fix the lower body. Drop the center of gravity and feel the internal energy Qi (気) in Dantian (丹田). Standing in a straight posture, loosen your back for making the axis move freely. Turn over the palm of your hand in front of your nose. Check and see if the fingertip of the middle finger passes in front of the nose. When the hand moves sideways, the body should not turn while facing the front. Only the axis rotates, then its strain energy will be transmitted to the arms and hands. Pay attention and be aware of the sense that Dantian (丹田) and the fingertips are connected each others through the body. Even if you slow down the speed of the movements, the connection should not be broken as far as the spiral force (纏絲勁) exists. The movement speed has been controlled to check and see if the spiral force (纏絲勁) works adequately in this video. If you want to feel the flow of Qi (気) energy rather than Jin (勁) force, it would be better to move more slowly. Although you don’t know the form of Taijiquan (太極拳), if you keep practicing Cloud hands (雲手) everyday, you may get the similar healthy effects as doing Taijiquan (太極拳).